A select group of people that spent $500 on one of Elon Musk's torch guns earlier this year finally got their hands on the product for the first time Saturday. Hours later, some of the devices popped up on eBay at prices stretching into the thousands of dollars. 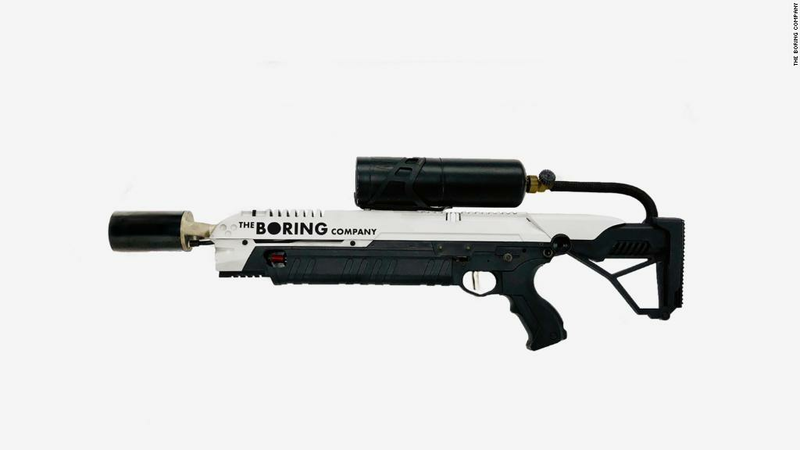 As of Sunday afternoon, a few eBay users had posted white flamethrower guns — which Musk has named "Not A Flamethrower." Prices range from just under $3,000 to one listing with a "Buy it Now" price of $20,000. An instruction manual for the gun is also on sale for $250. The guns do not actually spew flames long distances by igniting flammable liquids. Instead, they work more like large propane blowtorches. They were sold as gimmicky promotional items for Musk's tunnel-digging startup, The Boring Company. So far, the listings on eBay do not appear to be drawing much action. Musk, the CEO of SpaceX and Tesla, first touted his plan to sell flamethrowers in social media posts in December. He announced in February that they sold out in just four days. On Saturday, Musk hosted a pick-up party in Los Angeles where dozens gathered to get their hands on the first batch. Many have criticized the devices as a dangerous antic. Musk has taken a cheeky approach to addressing those concerns. The billionaire posted a warning to Twitter Saturday: "Please use as directed to avoid unintentionally burning things down. For simple & concise instructions, we drew upon wisdom in great Dr Seuss book 'Green Eggs and Ham'." Terms & conditions for "Not-a-Flamethrower"
It continued: "I will not use this in a house, I will not point this at my spouse, I will not use this in an unsafe way, The best use is créme brulee."